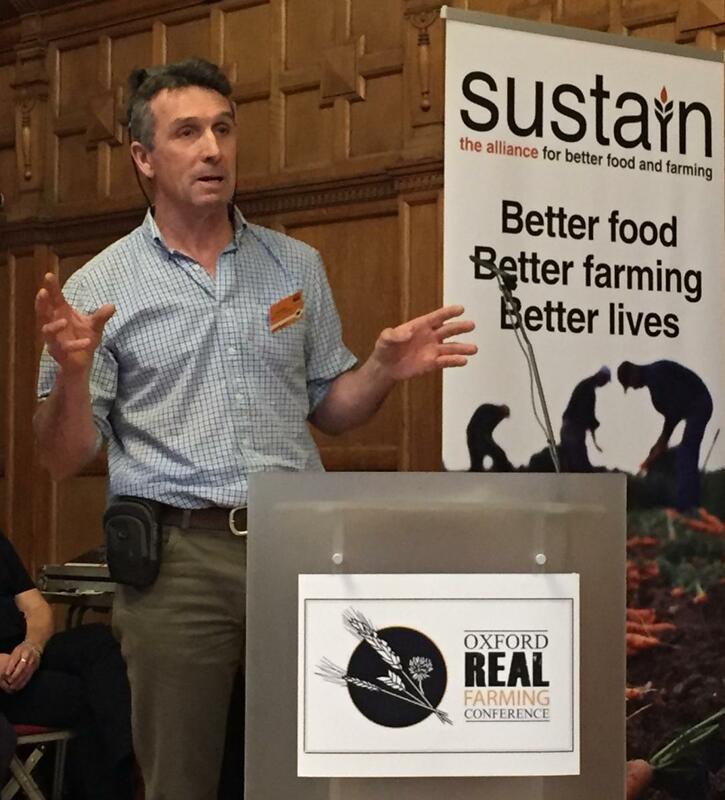 Sustain worked with the ORFC 2018 organisers to run the Brexit Room, covering big themes for food and farming; and providing a platform for over 30 diverse food and farming voices – sustainable farmers, Sustain alliance members and specialists. 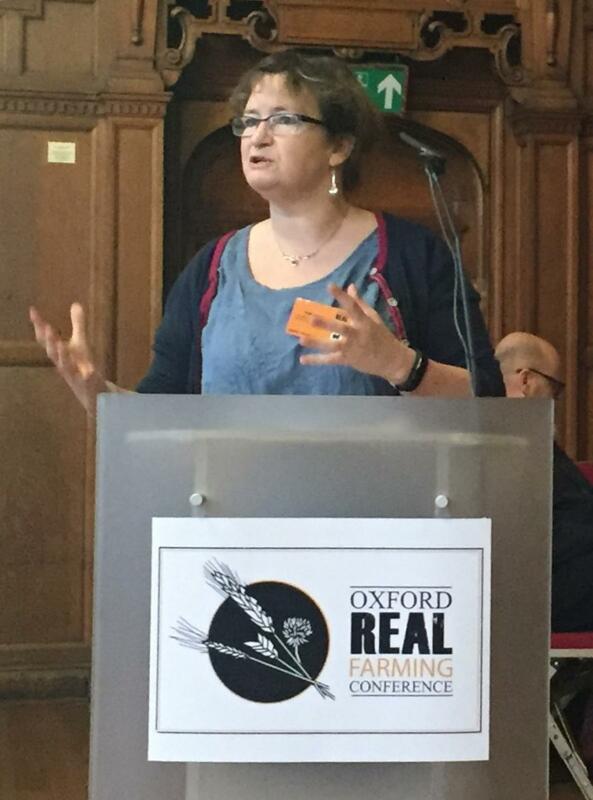 The January 2018 Oxford Real Farming Conference will go down in collective memory as a milestone in our movement’s history, filled to the rafters with 900 food and farming colleagues, questions, conversation and debate. The event featured a Q&A with Defra Secretary Michael Gove, and seven lively sessions on the implications of Brexit for food and farming, stewarded by Sustain. 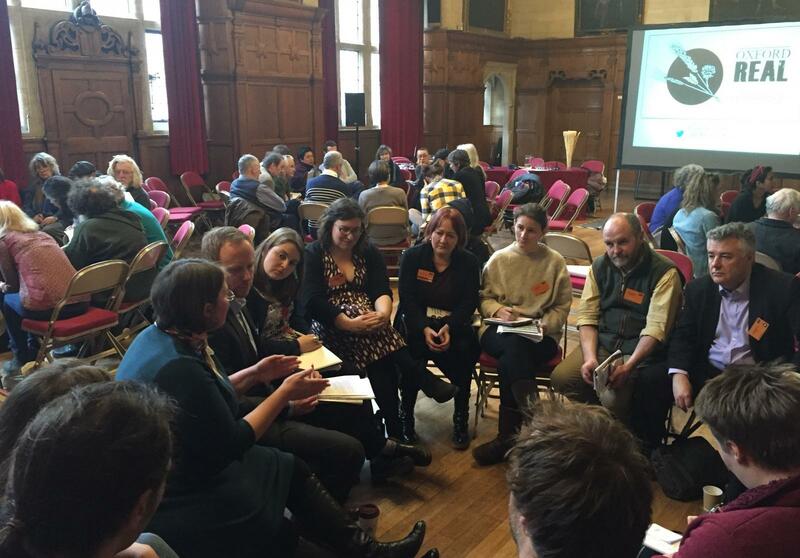 At the ORFC 2018, many journalists and policy-makers were among the crowd. And this year, for the first time, Defra Secretary of State for farming and the environment Michael Gove, spoke at both the Oxford Farming Conference (a keynote speech) AND the Oxford Real Farming Conference (a lively and hope-inducing off-script Q&A) – in a year that will see major shifts in Brexit food and farming policy, and the first major agricultural legislation for the UK since 1947. 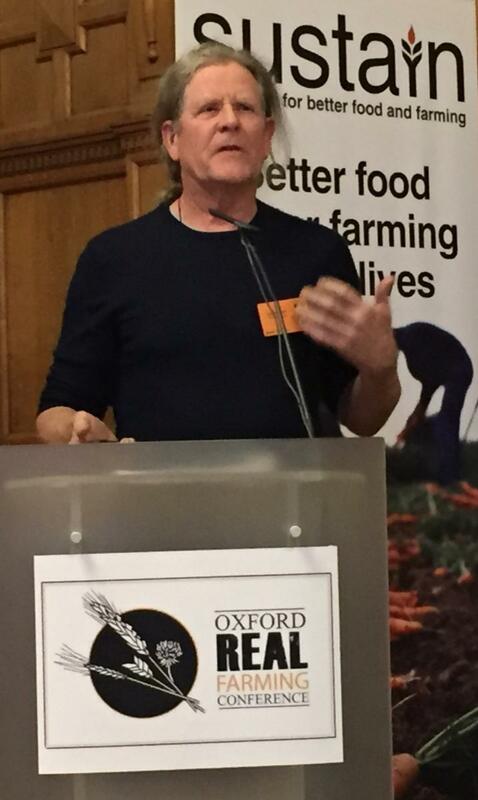 Sustain worked with the ORFC 2018 organisers to play a stewardship role for the ORFC 2018 Brexit Room, organising seven sessions covering big Brexit themes for food and farming; and providing a platform for over 30 diverse food and farming voices – sustainable farmers, Sustain alliance members and other specialists. 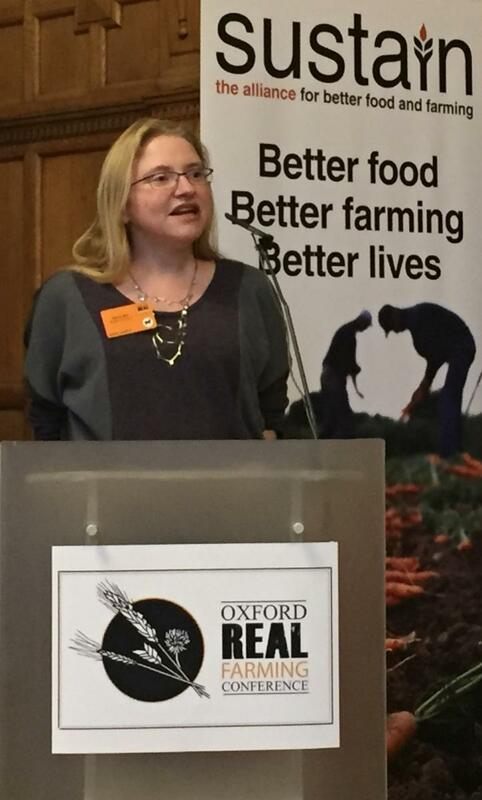 This article gives a summary of the ORFC 2018 Brexit Room proceedings. 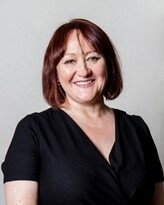 Over the past 18 months, Kath Dalmeny, chief executive of Sustain, has been helping to convene over 100 organisations to share ideas, intelligence and insights for the future of food and farming when the UK leaves the European Union. 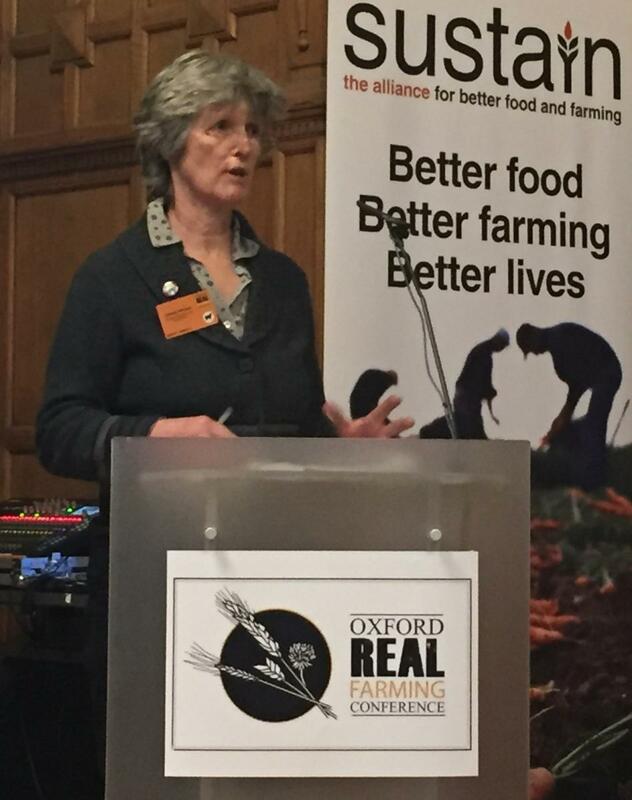 More recently, she has also become a member of the new Food, Farming and Countryside Commission hosted by the RSA – whose director Sue Pritchard provided an update as part of the first ORFC 2018 Brexit Room session. Sustain's Kath Dalmeny gave the following summary of the ‘Brexit state of play for food and farming’, using three Brexit Buckets marked BANK, BUILD and BIN as visual aids, as well as two ‘elephants in the room’ marked as ‘Implications for Devolved Nations’ and ‘Implications of trade deals’.The session gave a snapshot of where we are in January 2018, and our understanding of what will happen during this coming, game-changing year. Top tip: Join the mailing list of the Sustain Brexit Forum, to keep in touch with Brexit developments relevant to food, farming and fishing. Put briefly, Stage 1 negotiations with the EU have covered: the divorce bill – how much money the UK will have to pay to settle our debts with the EU; the rights and position of EU citizens; and Northern Ireland. The Northern Ireland question is perhaps the most interesting for food and farming. The border between Northern and Southern Ireland will be th UK's only land border with the EU – so it is where early decisions will be made about trade tariffs, movement of food and animals, inspections, standards, border checks and customs arrangements - all critically important to food and farming. A large proportion of Southern Ireland’s exports currently pass through Northern Ireland and the UK to get to other export markets in the EU, facilitated by frictionless borders. All this is highly political and expensive to change. There has been talk of frictionless borders policed by drones and (from the Home Office) volunteers helping to police the borders. To complete Stage 1 negotiations, some level of arrangements or principles have been agreed, but lots of question marks remain. What has been left out Stage 1 negotiations is also interesting – especially the relationship, powers and status of the devolved nations – not just Northern Ireland and the Belfast Good Friday Agreement; but also of course Scotland and Wales, for whom farming and land policy are devolved matters. Hence one of our ‘elephants in the room’ is the – as yet undefined – implications for food, farming and the environment for the Devolved Nations. It’s generally agreed to be an absolute minefield. Top tip: Get on the mailing list of Nourish Scotland to follow Scottish developments. And a question: We don’t yet know of similar groups tracking Brexit food/farming policy and standards specifically for Wales and Northern Ireland but would be pleased to be in touch. Negotiations for the Stage 2 agreement with the EU are now commencing, which will be about trade, tariffs, customs arrangements, standards and all the rest. If the UK fails to reach a deal, then we will fall back to WTO standards. If we strike a deal with the EU, there is a spectrum of possibilities – from a ‘deep and special’ EU relationship, right through to Canada Plus. Suffice it to say that under many options, the import and export tariffs on food and agricultural products – particularly those with some level of processing, such as butchered meat – can be eye-watering. And opinions on whether moving to WTO rules is a good thing or not are legion. Hence our second ‘elephant in the room’, surrounded by a cloud of unanswered questions, is ‘implications of trade deals’ – both with the EU and internationally. The European Commission has summarised options in a helpful diagram, below. 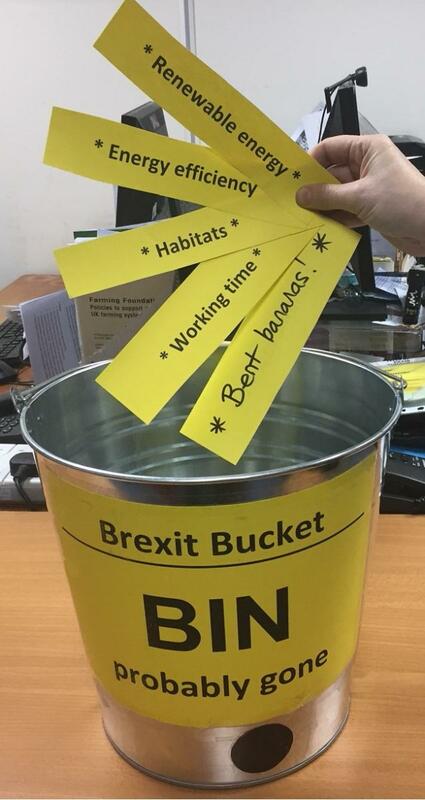 Introducing the BANK, BUILD and BIN buckets: The stated purpose of the EU Withdrawal Bill is to BANK all EU legislation into UK law, to provide certainty and avoid a cliff edge when the UK leaves the European Union. Reportedly, this means BANKING around 12,000 pieces of legislation, of which possibly 1,100 are likely to be relevant to food and farming, or at least falling within the remit of Defra. The picture above shows a glimpse of some of the themes relevant to food and farming, represented among the legislation that is going into the BANK bucket by means of the EU Withdrawal Bill. Some examples include food safety standards, baby food quality, product labelling, pesticide regulation, protected designation of origin, plant disease control and food fraud. Or so the political narrative goes. However, notice that there is already a hole in each bucket (see picture below) – this represents the idea that some principles and rules that will start to leak away; it also represents the potential effect of so-called ‘Henry VIII powers’. On the latter, the EU Withdrawal Bill gives the Government executive – with or without Parliament’s approval – to change legislation in the process of it going into the BANK bucket. Such powers are needed; tweaks will need to be made for the legislation to make sense in UK law. However, there is, as yet, no effective curb on the Henry VIII powers to reassure the public and Parliament that such powers will be used only for the stated purpose. During January, Secretary of State for Exiting the EU David Davis MP has himself tabled amendments to the Bill, seeking to allay such concerns by providing an "exhaustive list" of situations in which the powers could be used. The Hansard Society has also successfully championed a sensible ‘lift and sift’ process for dealing transparently and accountably with the very large number of changes that will need to be made, overseen by a new sifting committee. So much for the legislation. There are also separate environmental principles written into treaties, but not brought across into UK law automatically by the EU Withdrawal Bill – such as the Precautionary Principle; Polluter Pays; and Access to Justice. These are fundamental, especially for international trade deals, product approvals for new seed varieties, pesticides and chemicals, and good environmental governance. An amendment to the EU Withdrawal principles that would have seen these carried over safely into the EU Withdrawal Bill has been voted out in the first stages of the parliamentary process. The parliamentary debate was useful, but the future of these important principles remains uncertain, hence the worrying hole in the BANK bucket. Michael Gove has promised a new statutory environmental body to hold Government to account, and an environmental policy statement. Will these be robust enough to do the job? We have yet to find out. Will the Precautionary Principle, the principle that the Polluter Pays and Access to Environmental Justice end up in the BUILD bucket or in the BIN? At the moment, they could go in either. They were lost from the EU Withdrawal Bill, but we can still fight to get them back. Another treaty principle is the principle of Animal Sentience. It has been the subject of huge debate. Defra has promised a new UK animal welfare act as a result. We have yet to see if this will be robust enough to allay the concerns of animal welfare advocates, but let’s be optimistic and put this into the BUILD bucket for now. The EU Charter of Fundamental Rights is also not officially part of EU legislation; and hence also not brought automatically into UK law by the EU Withdrawal Bill. It covers many important themes such as children’s rights; rights of consumer redress; freedom of privacy and information; workers’ rights, and much more. Government says all rights are already covered adequately in UK law. Many disagree, especially human rights lawyers. The right most likely in the Government’s firing line is the EU right to “freedom of movement” and migration for work – of course, highly relevant to farmers. 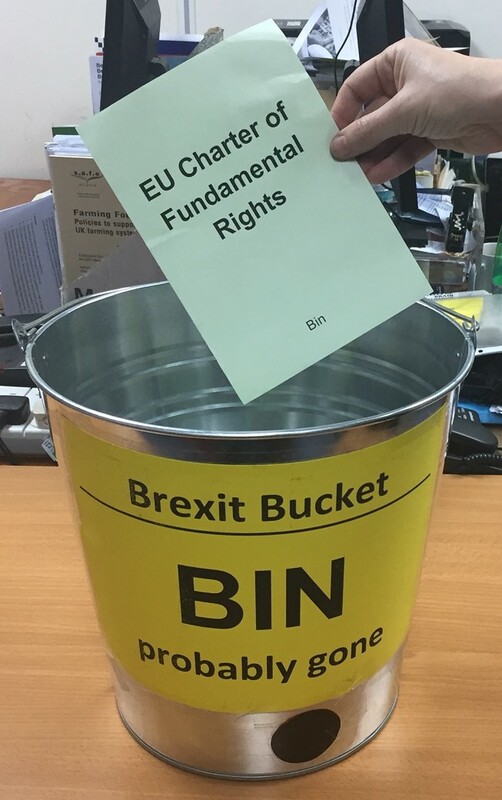 Unfortunately, the EU Charter of Fundamental Rights looks highly likely to go in the BIN. And don't forget that the EU Withdrawal Bill does not cover the Common Agricultural Policy, nor farm and rural subsidies, nor the Common Fisheries Policy, nor indeed international trade and tariffs. Let's come back to these. Much of what has been fought over so far in Parliament in the EU Withdrawal Bill has been broadly a “power grab” and constitutional matters: parliamentary scrutiny over changes to legislation; the opportunity for Parliament to vote on the final Brexit deal; lots of question marks about devolution and what powers will return to Westminster. This can all sound quite arcane. So it’s worth giving some indication of how some influential Conservative Party members would ideally like to see the Government use their newly-self-appointed powers. About a year ago, Boris Johnson, Ian Duncan Smith, Nigel Lawson and others used a Telegraph newspaper campaign to make it clear that they would expect to see five EU rules axed as soon as the UK takes back control, namely: the Habitats Directive; Renewable Energy Directive; Energy Efficiency Directive; Working Time Directive; and any European rules relating to Daily Mail headline-grabbing 'bent bananas'. We must expect there to be great pressure from some quarters to put these into the BIN. There are many other unanswered questions. For example, some of the amendments that MPs championed were about what the UK’s relationship will be with existing EU institutions such as the European Court of Justice, the European Food Safety Authority, the European (human and veterinary) Medicines Agency. Let's come back to these. And what will happen next? The EU Withdrawal Bill now goes to go to the House of Lords – then there's a ping-pong match of amendments, questions, visions and revisions, which a moment will reverse. Top tip: Join the mailing list of the Repeal Bill Alliance, run by Unlock Democracy, to keep in touch with developments on the EU Withdrawal Bill. 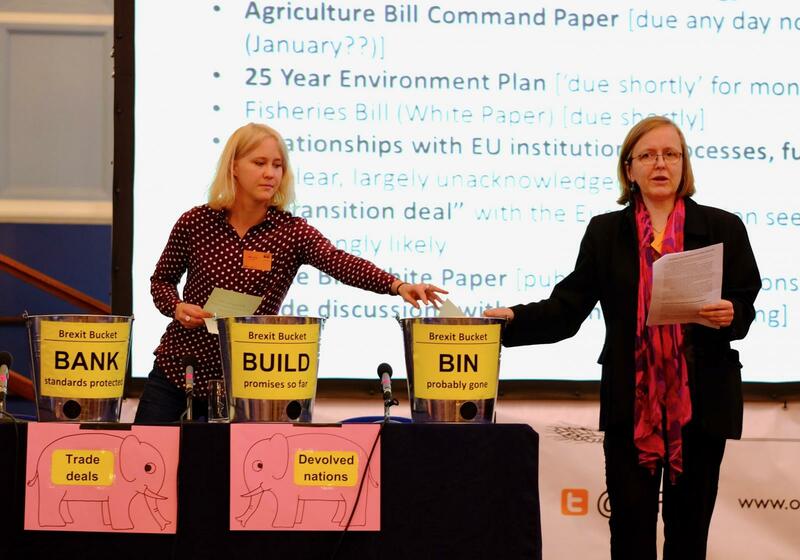 Emerging news: Friends of the Earth has reported the UK Government to a UN compliance committee, alleging that the UK government has breached the Aarhus Convention by not consulting the British public over the EU Withdrawal Bill. What will replace the Common Agricultural Policy, farm payments and rural development policy and funds? How will farm workers be paid and treated in future? 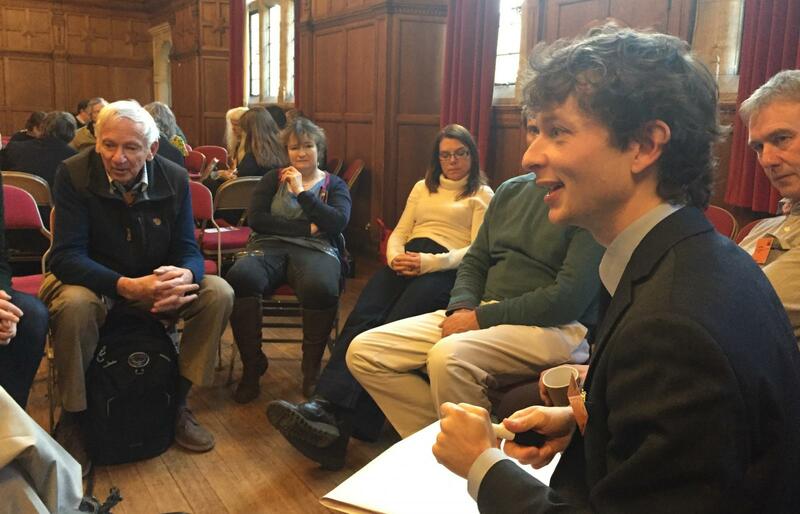 Three sessions of the Brexit Room focused on such crucial questions – looking at both WHAT future public funding should pay for; and HOW such funding might be best organised; and also at prospects for jobs in food and farming. These sessions were convened by Sustain and the Soil Association. For the purposes of reviewing the Brexit state of play for food and farming, the most important milestone in the coming few months is the UK Agriculture Bill Command Paper, due any day now (possibly even by February 2018), after which we’re promised a ten-week consultation process (quite a luxury these days). 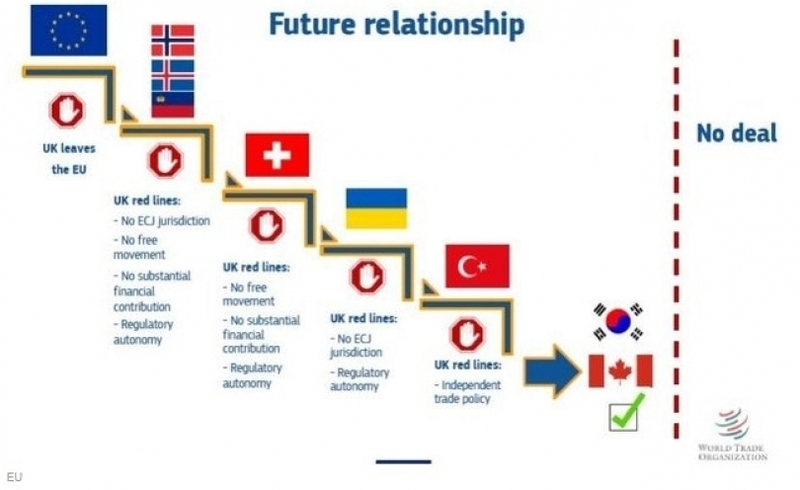 What results will obviously be complicated by what trading or transitional relationship we end up with, with the EU. However, let’s assume the possibility that the new UK Agriculture Bill will be the first big expression of the UK ‘taking back control’ – both of farming and land-use policy that has previously been an EU competence, and of a very big budget. The Agriculture Bill legislation may end up being a holding space, perhaps just a few paragraphs giving Government and agencies certain powers. Media coverage may be dominated for a while by transitional arrangements. But as the animal sentience and environment processes have taught us, this is our chance to create political space and public debate; to raise vital sustainable farming issues up the agenda. 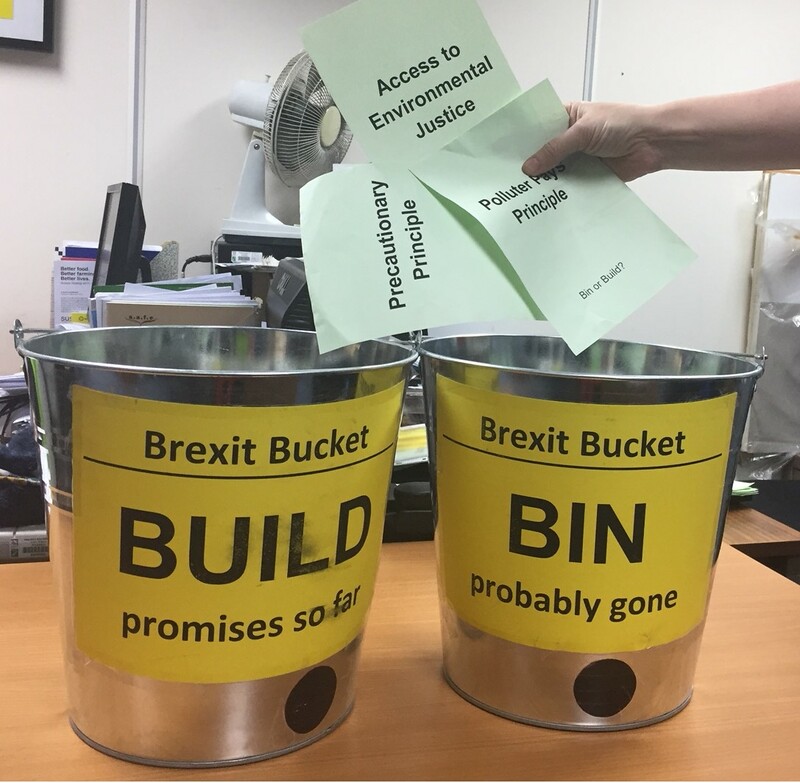 The Agriculture Bill goes decisively into the BUILD bucket. WHAT should future public funding for farming pay for? David Bowles (RSPCA), Simon Berry (Devon Wildlife Trust), Caroline Corsie (Worcestershire Wildlife Trust), Vicki Hird (Sustain), Stephen Briggs (farmer), and Courtney Scott (Food Foundation) pitched their proposals for which priorities the public could be paying for. 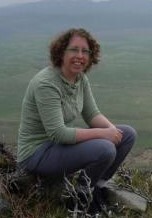 Caroline Corsie won the popular vote with insect biodiversity, charmingly symbolised by dung beetles; but in the end, the audience won a resounding victory by voting for integrated farm policy rewarding good jobs, conservation of water, soil and biodiversity, public health and animal welfare - all in the round. HOW should future public funding for farming be delivered? Chair Liz Bowles (Soil Association) guided discussions with speakers: Julian Gold (Hendred Estate, Oxfordshire), Iain Tolhurst (Tolhurst Organics), Kierra Box (Friends of the Earth) and Fidelity Weston (Pasture-Fed Livestock Association), exploring how the governance of farm support can be radically improved, including learning from innovative alternatives - piloted at home and in other countries - that Defra could trial during a changeover period. 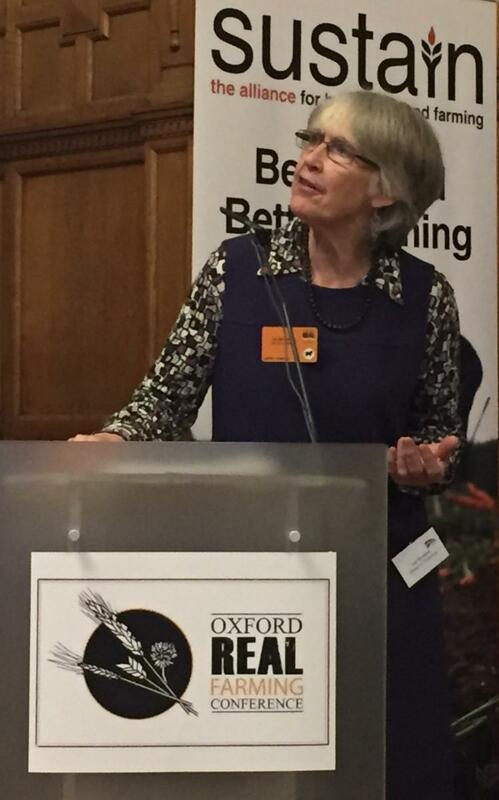 Good read: Sustain's Vicki Hird has been convening specialist member organisations, and commenting on the likely opportuntiies presented by the Agriculture Bill for a better approach to sustainable farming. 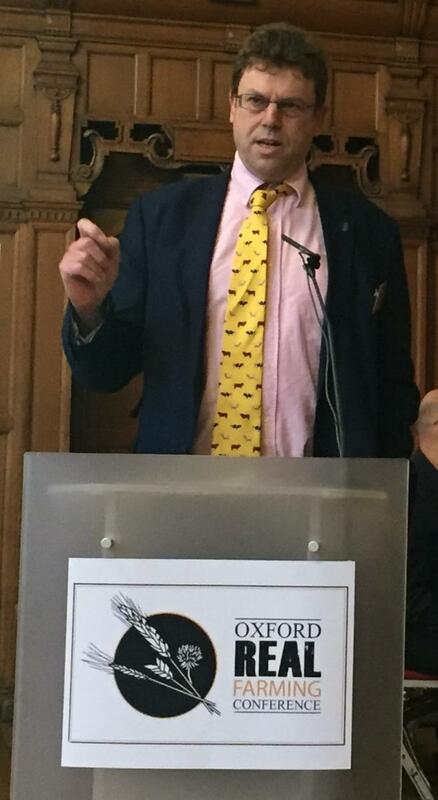 Defra Secretary Michael Gove MP, and Defra itself, have made some high-profile commitments on the environment - not least planned measures signalled by Michael Gove in January 2018 'down the road' at the Oxford Farming Conference, to shift farm subsidies away from area-based payments and towards 'public money for public goods'. Other recent headlines on the environment have included UK support for a ban on bee-harming neonicotinoid pesticides; reintroduction of beavers; and the potential to cap farm payments. Michael Gove has on several occasions trailed the ideas of a new Environment Act, an Environmental Policy Statement (that may or may not reinstate the Precautionary Principle and Polluter Pays principle, and Access to Environmental Justice), and a promising-sounding new environmental body to hold government to acount. At the moment, environmental poilcy goes decisively in the BUILD bucket. Top tip: Get on the Greener UK and Wildlife & Countryside Link mailing lists to receive updates on environmental policy developments in relation to Brexit. Useful read: A helpful round-up of Defra's environmental achievements in 2017 has been published by environment policy commentator Mark Avery. What will be the status of fishery sustainability in new UK policy? The crisis in fish stocks and marine ecosystems has been acknowledged and built into EU policy, through Maximum Sustainable Yield, Marine Protected Areas, etc. Compare this approach with the UK's early forays into protection of soil, bees and water. However, there is already some indication that the UK may water down our approach to Maximum Sustainable Yield by, for example, quietly dropping our shared commitment whilst within the EU to meeting this target by 2020. Meanwhile, whose fishing interests will be championed? by the New Economics Foundation suggests that smaller-scale fishers are likely to lose out. How serious are Government about supporting SMEs? Many see fisheries as a litmus test, and this may have lessons for the UK's smaller and family farmers. Fisheries are a political hot potato, but also perceived as a low-value bargaining chip, when seen only through the lens of GDP. and a traditional, narrow definition of productivity There are fears that food and farming are seen in a similar way, especially by economists, if we fail to adopt a more enlightened view of truly benefcial productivity. There are many tensions to be navigated in the UK's approach to natural assets either owned by other people, or shared with other nations. Tensions may also arise between the different standards applied by the UK and international trading partners. The US, for example, seems unlikely to agree with our definitions of sustainable fishery management and fish labelling requirements. And what will happen to sustainable fishery funds, such as the European Maritime and Fisheries Fund that currently pays fishermen for, for example, the vital transition to less damaging fishing gear? Currently, we hear this may end up being bundled in with other funds and handed over to the Department of Communities and Local Government. How much DCLG know or care about sustainable fishing gear is questionable. The comparisons with rural development funds are clear - will these be ring-fenced for promoting sustainable farming and rural economies, or hoovered up into a general prosperity fund? At the moment, the Fisheries Bill and public fishery management funds go into the BUILD bucket, to cosy up with farm policy, farm subsidies and rural development funds. 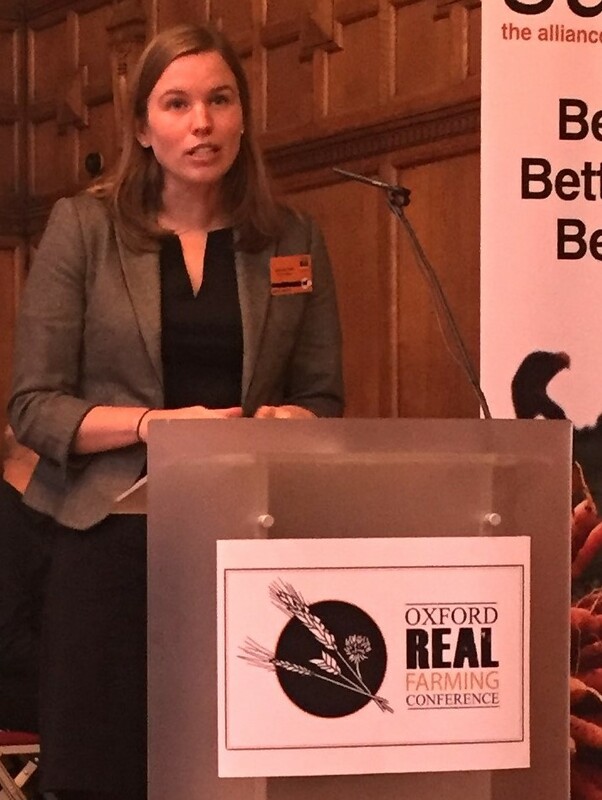 The ORFC 2018 Brexit Room featured a (De)Regulation Marketplace, where participants heard from specialists on the implications of changes to regulation and trade rules for issues such as water, wildlife, pesticides and using food waste for animal feed. In the foreground, colleagues from Compassion in World Farming share their expertise on animal welfare with a group including farmers, journalists and policy-makers. These are just a handful of the topics we could have included. Brexit is gigantic, both in scope and detail, and most especially for food, farming and fishing. 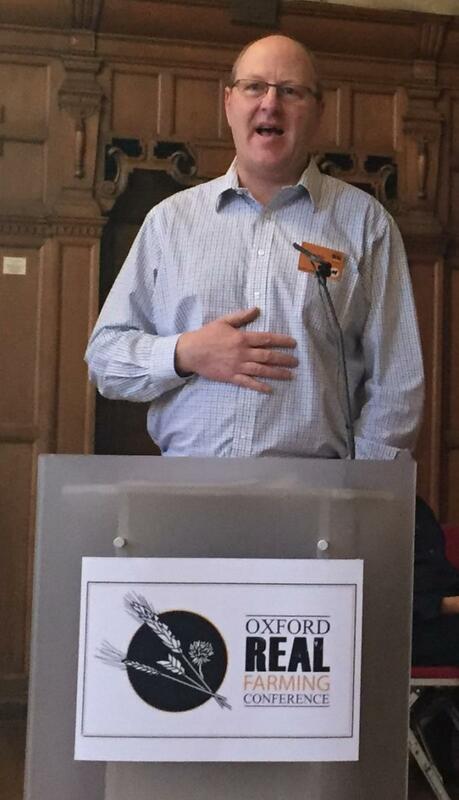 In the ORFC 2018 Brexit Room, we gave a flavour of what's at stake. There are many others that are relevant to food and farming, such as food and production standards, meat hygiene inspection arrangements, workers’ rights and consumer protection. The point is that we don’t yet know how most such food and farming standards will be governed when the UK leaves the EU. Policy-makers have as yet given scant indication of whether we will continue to work with established EU approval processes, institutions or governance functions, or whether these will need to be re-created in the UK. When asked, including through formal Parliamentary Questions, ministers tend to say such matters will be decided “in due course”. We’re not even sure if needs and possible costs have been assessed. We had hoped that David Davis’s “impact assessments” might have provided some insights. They didn’t. 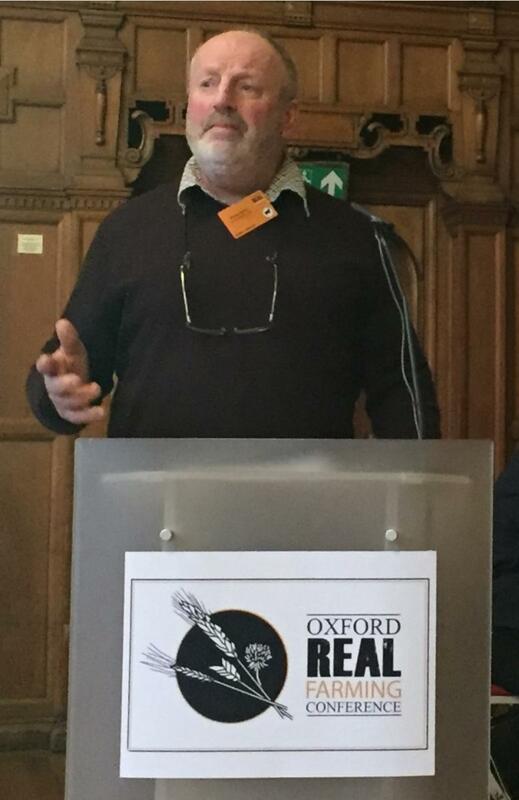 Richard Benwell, head of goverment affairs for the Wildfowl and Wetlands Trust, shares his insights with participants at the ORFC 2018 Brexit Room on implications of Brexit for water regulation. 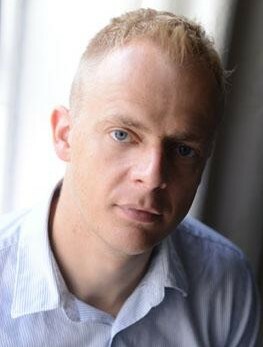 Richard is also a key contributor to Greener UK and Wildlife & Countryside Link's development of proposals for a new UK environmental regulator and a new UK Environment Act, critically important to the future good governance of our environment and natural resources. This is big. Many are calling this the “governance gap”. Will the UK continue to work with the European Food Safety Authority, the European Medicines Agency (which governs both human and veterinary medicines, and critically important antibiotics), the EU pesticide approval process, the European Chemicals Agency and the REACH framework? Who will gather and assess data; decide on standards; and who will pay for the staff and processes? These cost a lot. For some standards and frameworks, big industry is keen to stay in (REACH); for some, big industry is keen to come out (Working Time Directive). What's also important to remember is that all this will be happening in the context of the Government’s existing DE-regulatory – anti red tape – agenda. Many have already highlighted the very steep decline in UK border staff, meat inspectors, public health laboratories, food testing, environmental health officers and trading standards officers. With Brexit and new border arrangements, they will be asked to take on more, not less. At the moment, how we will achieve Good Food Governance hovers worryingly between BUILD and BIN, and is covered in question marks. Let's leave it symbolically in mid-air. The UK Trade Bill published in autumn 2017 is mainly about existing trade deals, and was published so very soon after the public consultation closed that we can only conclude that public concerns were ignored. Colleagues in organisations such as the Trade Justice Network and Global Justice Now are using the Trade Bill as an opportunity to highlight principles and international laws and commitments that the UK ought to uphold when agreeing trade deals. There is a real danger that such commitments will come under great pressure as trade deals are negotiated. Perhaps the biggest elephant in the room is the subject of trade deals - current and future. The final session of the Brexit Room focused on the implications of new international trade deals for UK farming and standards. Future trade deals for the UK are already being discussed behind closed doors, deals that will have profound effects on farming. Tariffs are only the start in trade deals nowadays – the big focus is on regulations. Standards on pesticide and antibiotic use, animal welfare, food safety, environment, and workers’ rights will all be on the negotiating table. High-profile issues like chlorine-dipped chicken and hormone-reared beef hit the headlines, and they symbolise choices about what kind of food and farming system we want – here and around the world. 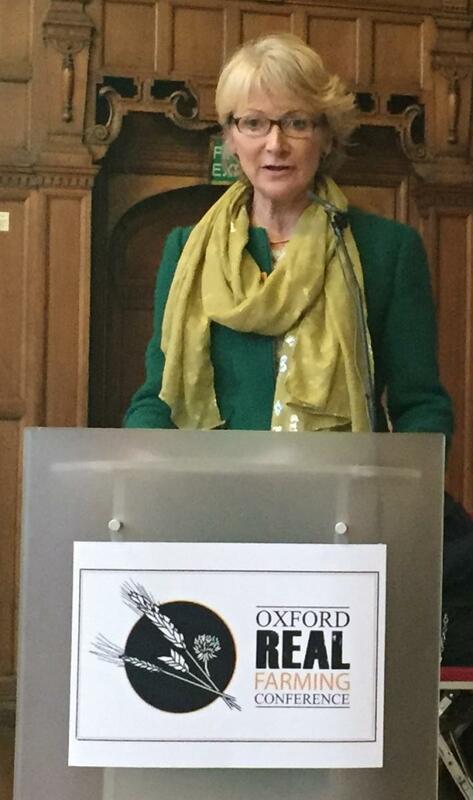 In the ORFC 2018 Brexit Room, Jean Blaylock (Trade Justice Movement) chaired a panel of speakers: Nick Dearden (Global Justice Now), Kerry McCarthy (Labour MP) and Honor Eldridge (Soil Association), discussing the choices that will be made by our trade negotiators. The session argued that such decisions should be made through democratic debate and public discussion. Yet rules set by trade negotiators in secret can override choices and decisions made in national agriculture, food, health and environment policy. 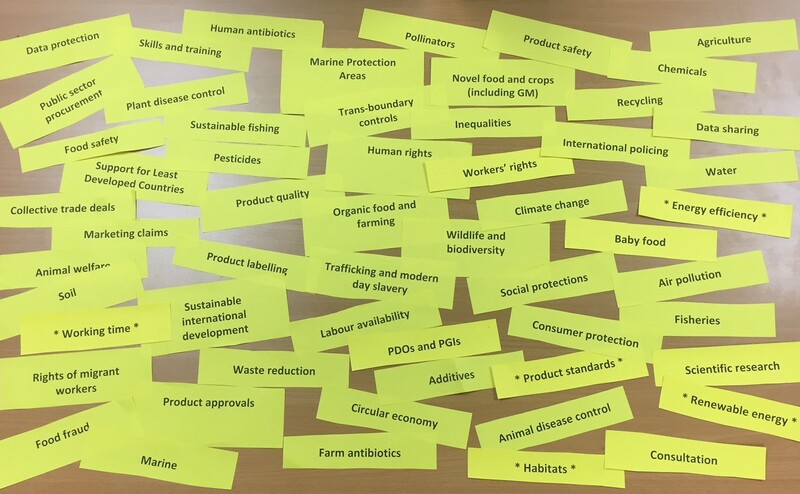 The session explored the risks and options, and discussed what we can do to prevent trade deals from undermining the diverse and sustainable food system we want to build. At the moment, there is a powerful tension emerging between two narratives. The first promises that ‘taking back control’ means championing British farming and a ‘high standards UK’. The second looks internationally for new trade deals and ultra-cheap food, with many of the standards we hold dear characterised as a barrier to trade. The UK has already starting “trade discussions” with other nations (e.g. America). It is salutary to note that in October, America’s Commerce Secretary Wilbur Ross, told the Confederation of British Industries (the CBI) that the UK would need to accept US product standards if we want a trade deal. It is quite possible that standards we believe to be safely secured in the BANK bucket via the EU Withdrawal Bill may be taken out and put into the BIN by trade negotiators. Top tip: Find out more about implications of trade deals for food and farming by supporting the Trade Justice Movement. The final message from Sustain is simply this: get involved. This year, as no other, it is time for the voices of those who care about healthy, fair, humane and sustainable food and farming to be heard. 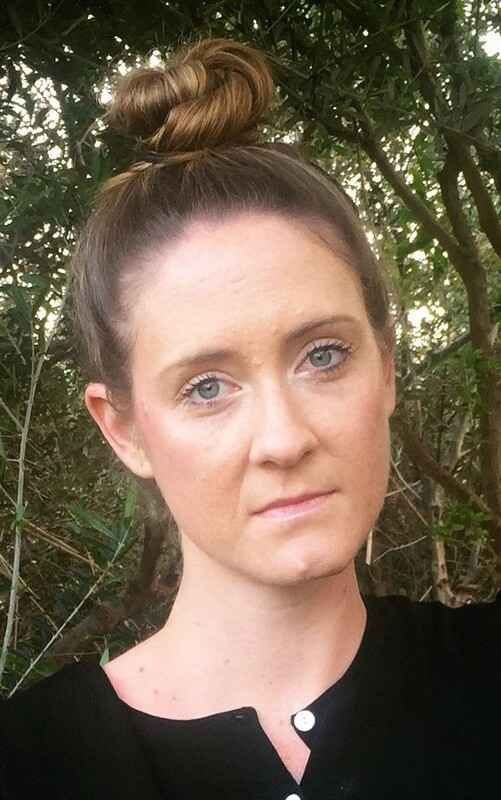 Opportunities to get involved are highlighted throughout this article. Join the mailing list of the Sustain Brexit Forum, to keep in touch with Brexit developments relevant to food, farming and fishing.